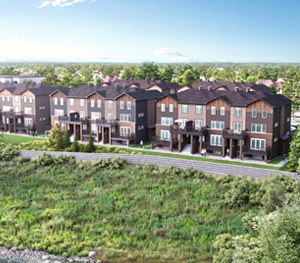 Welcome to Morgan's Creek, a boutique community of Infusion Terrace Homes in Kanata, Ottawa. 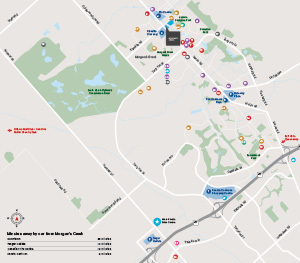 Located right across from Morgan's Grant, Morgan's Creek is Minto Communities newest community in Kanata North. In Morgan's Creek you're a short commute to a number of amenities on March Rd, and also Kanata's technology hub. Morgan's Creek is separated by Shirley's Brook, a beautiful creek that runs through the neighbourhood. After a fantastic first launch on March 30, Morgan's Creek is temporarily sold-out, but don't worry, we'll be back soon with a new lot release of 2-bedroom Infusion Terrace Homes in our boutique Kanata North community soon. Register today to be the first to know when. Spacious 2-bedroom, 2-Storey Infusion Terrace Homes for sale in Kanata, Ottawa. 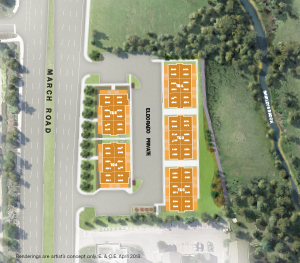 Infusion Terrace Homes located near essential amenities and Kanata's tech hub on March Rd. Infusion Terrace Homes offer open-concept living with plenty of natural light. Also, design the way you want through our Design Centre. Learn more about our newest west-end community, Morgan's Creek, designed around the natural setting of Shirley's Brook. In Morgan's Creek, you're close to nature and amenities just off March Rd. Everything you need is just steps away from Minto Morgan's Creek. 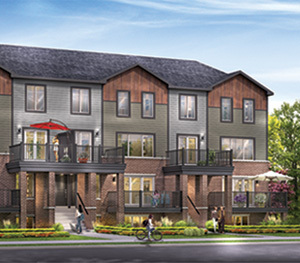 Set into a green oasis just off March Road, in Kanata North, Morgan’s Creek is all about convenience, a neighbourly vibe, and affordable, finely crafted Infusion Terrace Homes. What is an Infusion Terrace Home, and how does it make a good investment or first home? 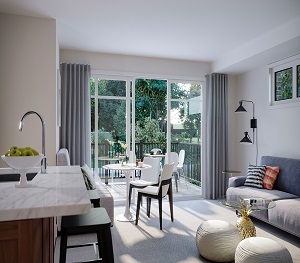 Whether you’re a first-time buyer looking to enter the new home market in Kanata, Ottawa, or an investor eager to expand your portfolio, Infusion Terrace Homes are the optimum choice. Designed around the natural setting of Shirley’s Brook, in Ottawa’s high-tech sector, Infusion Terrace Homes boast convenience and comfort all in one. Read more reasons to live in Morgan’s Creek.